Split-level homes, also called divided-entry homes, are a very American style. They became popular in the 1940s and 1950s, when demand for new houses in the suburbs was high but lots for building them were shrinking in size. Because a split-level home lends itself well to a hilly and/or narrow lot, they are often found grouped together in subdivisions. Split-level homes tend to be small in square footage, and older ones are often sorely in need of updating and renovation. The unique floor plan and exterior of a split-level home often makes it difficult to make large changes when renovating, but with good planning and flexibility, you can transform your vintage 50s place into a modern-feeling, friendly gathering place. Split-level homes can be a remodeling nightmare. First determine your needs. You may be remodeling simply to update and retain value in your home, or you may want to create more space in your home to accommodate new family members. A split-level home design is unforgiving of mistakes, so clarity of purpose is critical. Once your needs are clear, set a budget. Be realistic about what you can afford, and overestimate costs. Release your creativity. 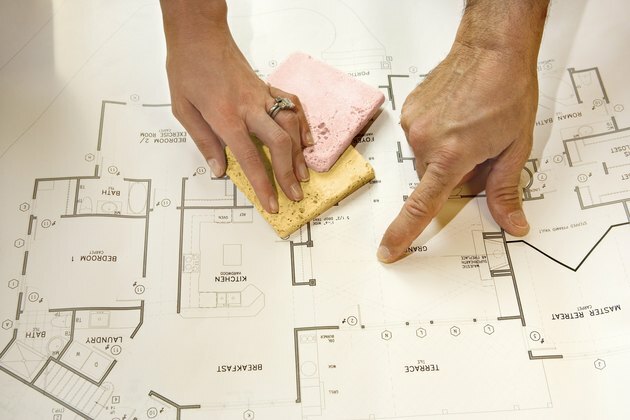 Make sketches of what you want the finished result to be, both in floor plan and in appearance. Split-level home plans were originally based on Frank Lloyd Wright Arts and Crafts design, a very simple, comfortable and open style. While your typical Wright-designed house is on the higher end of cost, however, the split-level was designed to be economical. Like any Wright home, the design was intended to blend form and function with nature, so very modern additions and styles may look odd. Split-level homes are intended to have a lower, informal level centered around the husband; a middle, formal level centered around the wife; and an upper level devoted to bedrooms and private space. You do not need to keep this pattern as you renovate, but you will find it difficult to make changes that do not work well with this theme. Because of the uneven window placement resulting from the shifted stories, a split-level home with bad landscaping may look lopsided and strange. If you need to remove trees during your remodel, it is wise to replant something in the same location that will re-balance your landscaping. Build any necessary additions before making internal changes. Because split-level homes were designed to fit in narrow lots or lots that slope from left to right, you will find it easier to build additions behind the house rather than to either side. This is actually a good thing; split-level homes with additions to the sides look lopsided and awkward. Story additions are also a bad idea, as they overemphasize the uneven architecture as well. The best split-level additions are those that convert garages or basements to other functions, simply because you do not have to change the outside architecture to something originally unintended. 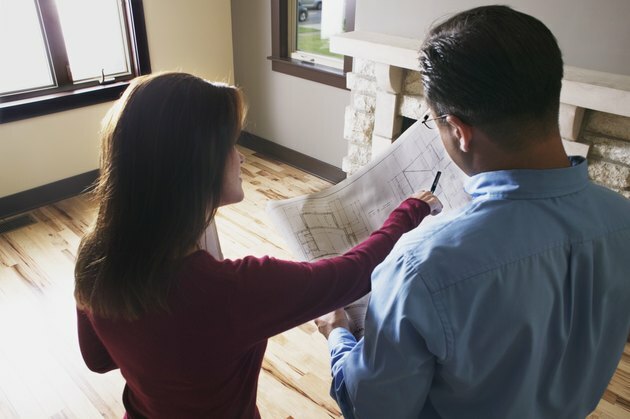 Make sure you consult with a local builder or realtor if you convert your own garage or basement, even if you are confident in your ability to do it yourself. Garages and basements are not designed to be living spaces, and if you don't adhere to local regulations regarding such things as window placement and ventilation, you will not be able to call the resulting rooms anything but storage space; this may result in a net loss of home value, something no remodeling should cause. 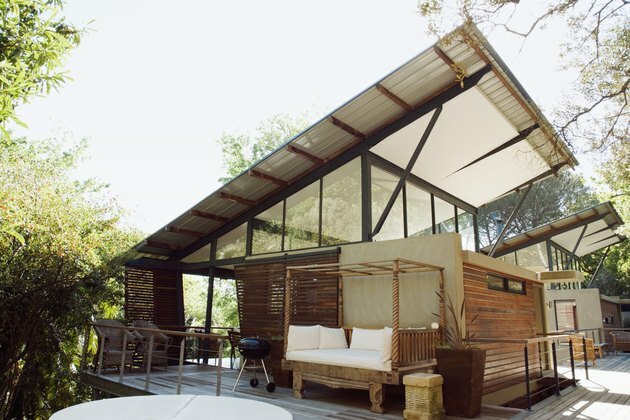 Sunrooms and decks built onto the back of a split-level also work very well as additions. Perhaps the most fun part of a split-level remodel is changing the outer facade. Split-level homes are built in a simple style that lends itself well to many different appearances: Tudor, Victorian and ranch. By working with siding styles and stonework, the creative homeowner can transform his bland home into something beautiful. Look for ideas in your neighborhood. 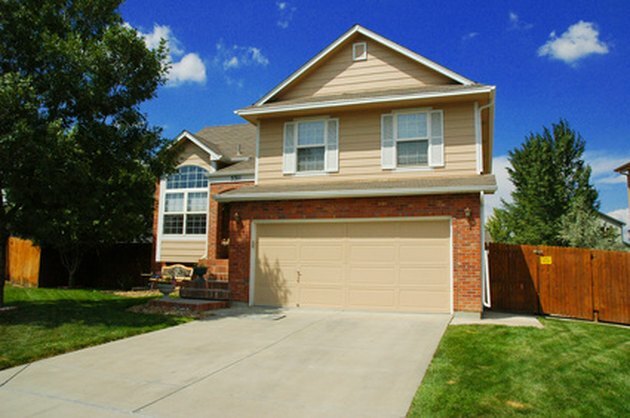 Take good-quality pictures of the homes you love in your area, from multiple angles. Be sure to get the landscaping into the picture as well. Print these pictures out and mark them up, noting the things you love and the things you hate about each of them. 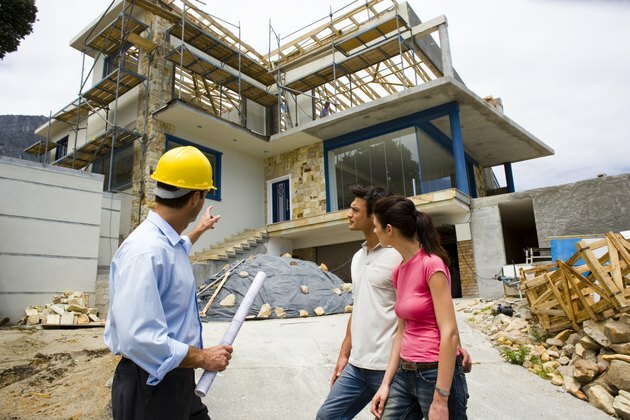 If you do not have building expertise, you will need to consult with an architect or experienced home renovator at this point to determine what you can and cannot do, and how much your desired renovation will cost you. Make sure the resulting home blends well in your neighborhood and landscaping. This will retain your split-level's "curb appeal," the realtor's term for that first reaction from any home buyer. Last, remodel the inside. Split-level homes lend themselves well to open designs, especially those with low square footage, so removing walls is often a good starting point. 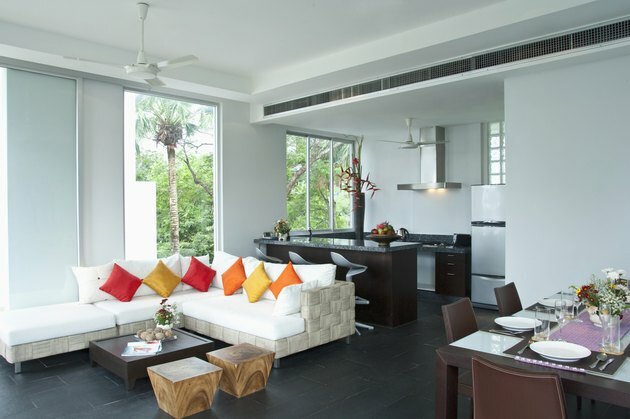 Try to blend the interior design with the exterior. Look for inspiration in Arts and Crafts style decor (if you are unfamiliar with Arts and Crafts design, your best bet is to pick up a book at the library; this simple American style is difficult to define) and keep your home simple and flowing. Good remodels include natural materials (wood floors, tile, stone, granite) and light materials. Split-level homes often don't have enough windows for modern tastes so design with maximizing light in mind. Avoid eclectic styles; the split level design is eccentric enough, and an eclectic style will make the limited space available seem even smaller. Instead, research design styles and remodel the entire home, inside and out, with one style in mind. Keep things uncluttered; as William Morris said, "Have nothing in your house that you do not know to be useful or believe to be beautiful." Because of the limited space, avoid wallpaper; it will make your small areas look busy and cramped. One thing to focus on, if you're doing a whole-home remodel, is the foyer. Most home designs have a foyer that gives guests a clear path to a guest area, or simply open directly onto a living room or great room. Split-level homes, on the other hand, have two stairways right inside the door, neither denoted as the direction for guests. You can repair this flaw in split-level design by opening the foyer to your formal living room, removing walls or installing half-walls, or by creating clear paths to the lower den by using similar flooring in both foyer and the down stairs. Finally, constantly improve your home by updating little bitsand throwing things away. Clutter is the bane of a split-level home. If you must have things that are not currently useful, make use of your attic or build a small storage shed in the backyard to keep them in. What Is a False Gable on a House?